Mom (KATHRYN HAHN) tries to console Becca (OLIVIA DEJONGE) in Universal Pictures’ THE VISIT. ©Universal Studios. 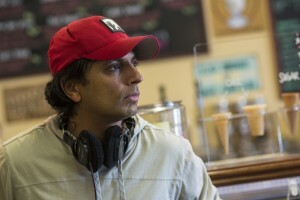 (L to R) Writer/Director/Producer M. NIGHT SHYAMALAN, cinematographer MARYSE ALBERTI and ED OXENBOULD as Tyler on the set of THE VISIT. ©Universal Studios. CR: John Baer. (L to R) Nana (DEANNA DUNAGAN) needs Becca’s (OLIVIA DEJONGE) help cleaning the oven in Universal Pictures’ THE VISIT. ©Universal Studios. riter/Director/Producer M. NIGHT SHYAMALAN returns to his roots with THE VISIT. ©Universal Studios. CR: John Baer. 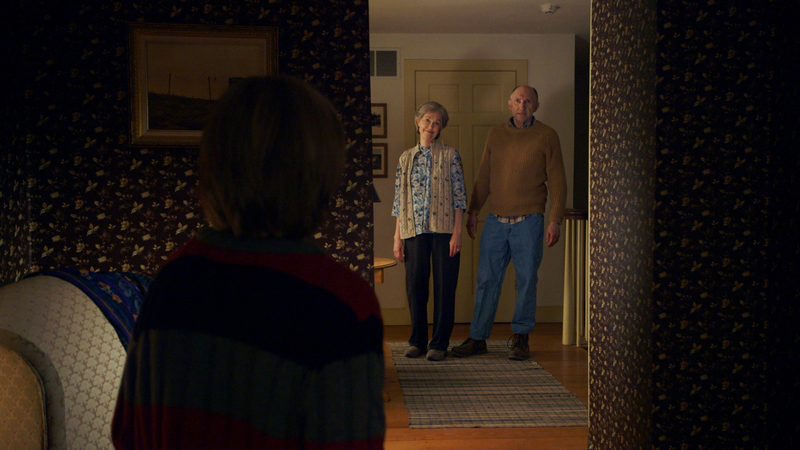 (L to R) Tyler (ED OXENBOULD) is terrified by Nana (DEANNA DUNAGAN) and Pop Pop (PETER MCROBBIE) in THE VISIT. ©Universal Studios.